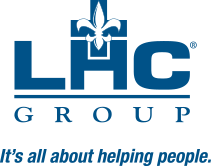 Maxine Hochhauser joined LHC Group in early 2019. As president, home and community based services division, she is responsible for all aspects of the operations and growth of the Home and Community Based Services Division. Ms. Hochhauser has an extensive background in all aspects of the home care industry (both Medicare-certified and Medicaid-reimbursed), including private duty, hospice and palliative care, and other service lines including rehab and skilled nursing facility operations. She has served on several boards, including the National Association for Home Care & Hospice, the Home Care Association of NY State, and on several industry executive committees and advisory boards. In her previous role, Ms. Hochhauser provided consulting services to Medicare-certified home health agencies. Prior to her consulting assignments, she served as the chief operating officer for Addus Home Care, and as senior vice president of enterprise operations for Amedisys in the delivery of home health and hospice. Ms. Hochhauser holds both an MBA and a BS in physical therapy.